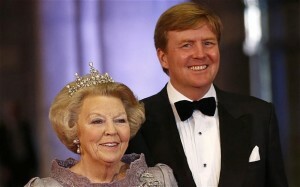 Mom abdicates, Willem-Alexander becomes king. The news in Europe today has been somewhat dominated by the enthroning of the first king in the Netherlands since 1890 after his mother Queen Beatrix abdicated today. The ceremony is being broadcast on many television stations throughout Europe. 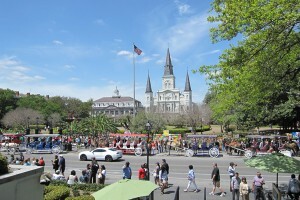 In Nieuwe Kerk in Amsterdam the ceremony is now underway to enthrone the new king and celebrations were ongoing in Amsterdam and other parts of the country. Many people were wearing orange colored pieces of clothing since this is the color of the house of Oranje, the current ruling dynasty’s color. One can certainly discuss the merits of having the monarchy system in these times, it clearly seems out of the times to me, thoough this particular and many other Royal families still have a wide support among their “subjects”. The ceremony was not a crowning of the new king, but just an enthroning because the Netherlands does not crown their kings. The new king wants to be known as “a man of the people” and has said that people do not need to address him in any certain manner (your royal highness) but can call him by his name if they want to. We just had an Earthquake. We just had a quick jolt, a smaller size earthquake here in L.A. It didn’t last very long and I would think there probably is little or no damage, but we will know more once we find out where it was centered. Here is an update, according to Caltech the quake had a preliminary magnitude of 3.2 occurred at a hypocentral depth of 13km (8 miles) and was centered 1 mile NE of Los Angeles International Airport, LAX. I was watching NBR (Nightly Business Report) on PBS today and the above was what John Harwood told Tyler Mathisen one Republican member of Congress had told him when talking about the sequestration’s effect on airtravel and what, if anything they were going to do about avoiding that and other cuts that affect the public and the economy in unacceptable and adverse ways. Is this really who you want to represent you in the U.S. Congress? Myself, I would certainly not vote for this person again, “Just drifting along…”, no thanks just go back home for good and do your drifting along right there, the traveling public can’t really take any “Just drifting along” delays in addition to the already trying delays when traveling. Members of Congress: Please stop “Just drifting along…” and fix these things, come to an agreement on the whole sequestration once and for all and stop this madness before more damage is done! Jackson Square with the St Louis Cathedral in the back. If you visit New Orleans you must try the Green Goddess restaurant. They have some really innovative – different and really good dishes on the menu. I suggest you try the South Indian Uttapam, vegan version – It is soo delicious. Then you can finish off with a super dessert, I can strongly recommend the Chocolate Dutch – French Toast with Steens sugar cane syrup and salted caramel – It has Gouda cheese in it – it is one of the best desserts I have ever tasted. The Green Goddess also have a super selection of interesting spirits, wines and fortified wines to accompany your meal. They also have friendly and helpful waiters. I give it all thumbs up! 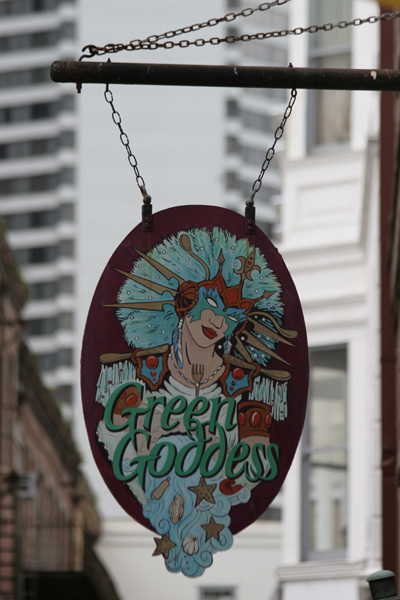 Green Goddess is located in the French Quarter at 307 Exchange Alley, between Conti and Bienville. No reservations, first come first served.